Climate is the centrifugal force which de facto is the lifeline of all things that exist- cultural practices, societies, commerce or political charters. It has for ages dictated the way mankind has functioned and the 21st century is no different. Climate has been altering the world map, catalysing large scale migration and prompting immediate global climate action. With the Paris Treaty coming into force on November 4th, Marrakech defining the future action plan and Fiji being all set to host COP23 in Bonn- the bar has been set high. However the real question is how far-fetched is the idea of climate change or is it as a matter of fact a reality? As per the UNHCR report, more than 26 million people have been displaced by natural disasters. It is the environmental insecurity which is now shaping up this new world. Natural resource scarcity, especially through anthropogenic means, poor resource management, and unsustainable agricultural practices are some of the major precursors to climate change. For instance, the Fertile Crescent (which encompasses Syria, Israel, and Iraq among others) has been the cradle to human civilization for centuries. Prevailing ancient climatic conditions allowed the first rain-fed agriculture to flourish here in human history. Snow-clad mountains and winter rainfall ensured its survival. However, over the centuries the atmospheric water cycle changed due to the accumulation of greenhouse gases. Century-long observations of temperature, precipitation, sea-levels, atmospheric pressure, suggest how deeply the unsustainable activities have affected the region. Persistent droughts are now like a shadow to this once flourishing food bowl of Middle-East, which now is in the midst of the world’s worst humanitarian crisis. Before the uprising, in 2007-2008, the Fertile Crescent experienced severe drought which begot widespread crop failure and impelled mass migration of nearly 1.5 million farming families to urban centers, in Syria. Adding fuel to fire were the State’s unsustainable agricultural policies, which ensued groundwater depletion- critical for over a third of Syrian agriculture. Even though the government tried to alleviate this, yet the 2005 law which necessitates a license to dig wells was never enforced. The Khabur river system, Euphrates and Tigris, in North-Eastern Syria as a consequence dried up. With rainfall below normal for over a century, increasing demand for the resources and emphasis on agricultural produce- Syria got embroiled in a cycle of unsustainable practices. These practices- land redistribution and irrigation projects, quota systems, and subsidizing fuel, endangered Syria’s water security and made it even more susceptible to droughts. 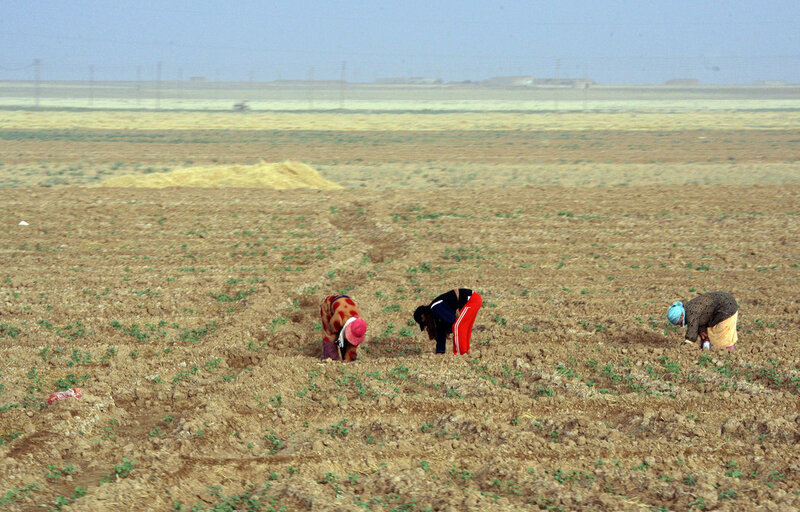 However, this is not the first time as Syria has been subject to periodic droughts. In 1950s, 1980s and 1990s too it experienced the droughts but somehow, the nation could not recover from 1990s famine. The Syrian uprising, now a civil war, gathered momentum from these persistent droughts. As more and more people shifted to the urban centers, they found themselves unemployed, thereby pushing them towards revolution. Syria, then, is a just case in point where a complete disregard for sustainability with enhanced anthropogenic influence has led to cataclysmic ecological effects for the human civilization itself. Another very vivid example is of the Indus Valley/ Harappa Civilization, which was once characterized by large, well-planned cities with advanced municipal sanitation systems and a script that has never been deciphered till date. Given the lack of any observational records, few paleo-climatologists conducted radio-carbon dating of the organic matter. The results suggest, it is after-all the shift in the monsoon pattern and its gradual failure which led to the decline of Harappa civilization. Thus, from the ancient times, human societies have had to contend with climate for survival and deal with the after-effects of the anthropogenic climate change. In a report for 2016, NASA stated that the two chief climate indicators were “global surface temperatures and Arctic sea ice extent”, many of the records of which were broken within the first six months. Supporting this are Instances of massive coral bleaching in Australia’s North East Coast, abrupt increase in wild fires across globe- California, Indonesia, Spain, Alaska, Siberia and Canada; and the disappearance of marshy wet-lands, mass wild-life deaths (birds and fishes), disappearance of mangroves, estuaries among others. Approximately a 500 mile section of the Great Barrier Reef has reportedly been found dead. Coral reefs, in general cover less than 0.2% of the oceans and act as foundation for the biodiversity, second only to the rainforests. Since reefs only thrive in a fairly narrow temperature range, rising temperatures in combination with other natural phenomena such as El Nino are prompting their mass bleaching. Similarly due to constant increase in the GHG emissions, the rate of evaporation too has soared. As a repercussion, there has been early snow-melt and drier soils making the forest land drier and becoming more susceptible to fire. Herein lies the human paradox, as extinction of marine life endangers the poor countries dependent on reef fish, and forest fires threaten the lungs of the earth, triggering another humanitarian crisis. Eventually, the global trend of rising temperature has been outpaced by the regional warming of poles. And if current reports are anything to abide by, then 2017 will experience an even hotter summer; posing an even greater environmental challenge for the world to mitigate the global temperatures below 2 degree Celsius. Climate Change, therefore, is no longer a far-fetched theory but a reality that needs immediate attention. ‹ Climate change and new green investment policy framework	› Paternalism and development: can charity lead to parity?